Speaking activities are essential for English language speaking classes (obviously!). However, designing the right speaking activity for a topic is not always an easy task. Teachers need to be aware of the students’ abilities and personalities as well as the language and grammar they will be presenting. It’s good to be able to run through or think through a list of teaching possibilities before preparing a class. Below I offer some essential speaking activities that have helped make seemingly difficult teaching challenges a lot of fun. 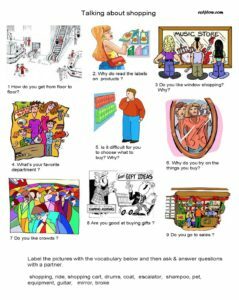 This is an elementary ESL speaking activity for practicing language useful for talking about shopping. Shopping is a great topic for English language students as it is universally accessible. Using pictures with the questions gives context. The vocabulary at the bottom of the page can be matched to the pictures as an icebreaker. Students can discuss and answer the questions in groups or in pairs. Role plays can be really good speaking activities. However, students really need to be able to identify with and be interested in the characters they are playing. The easiest and most successful role play I have encountered is the celebrity role play. It is also the most popular role play idea on my website by miles. This is a fun communicative exercise that allows students to to be creative and to improvise. 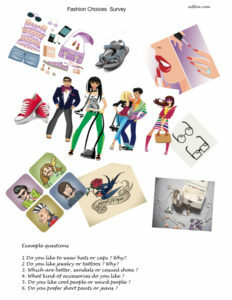 This is an ESL speaking and writing lesson for talking about clothes, accessories and fashion choices. Fashion is a great classroom topic as it easily engages students. 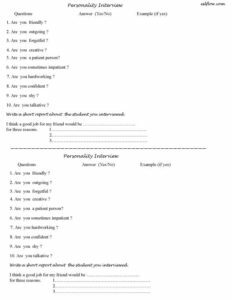 In this exercise, students have to write their own questions, survey their classmates and write a short report about their findings. 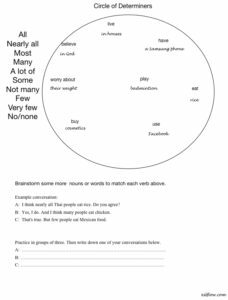 This is a fun communicative exercise that allows students to mix freely. 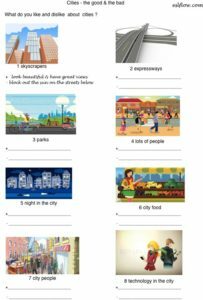 This is an ESL or English language exercise for practicing conversational English. Brainstorm collocations for the verbs and then create short conversations using the model on the hand out as an example. Dialogues are a great way to get students talking. Students just need to be presented with an easy example or model that they can practice Once they have mastered the model they can alter it with their own ideas. In socializing activities, students write one of more questions on a piece of paper and then walk around the classroom speaking to as many people as possible. This is an excellent all-purpose communicative activity for big ESL classes. It’s effective because it just about ensures a high level of student participation. It also lowers inhibition levels, encourages student centered correction and frees the teacher to observe and field questions from students. The possible variations are endless. It can be used as an icebreaker, for drills, or as an initiator of free conversation. One-on-one interviews also work well in ESL classes. Several good options are the job interview, the personality interview and the “getting to know you” interview. Discussion activities on topics which students encounter in their everyday lives are also generally successful. Getting students to provide both sides of an argument helps them to develop their critical thinking and speaking skills. Discussion topics like this example can be done in pairs, groups or as a class. 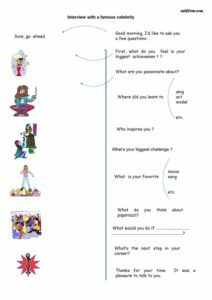 Great worksheets to use at all levels…open-ended, with many channels to follow…thank you very much. Ok. Thanks. I fixed that. Anytime you find an error, let me know. I’ll fix it immediately.